A month-long pedal to raise money for Cure Kids Fiji! At My Fiji, we’re passionate about our destination—from the lush tropical vegetation that stretches from the mainland to meet the wonder-filled sea, to the luxury of the resorts and countless ways to indulge and relax! A Fiji trip isn’t ever complete without some snorkelling, pampering, dining and sunbaking, but what really gets us going back, time and time again, are the locals. The Fijian people are what make it our favourite destination—they smile so bright, are welcoming and warm and their pure attitude is the heart and soul of the country! This year, we decided it was time to give back—to make a difference to the lives of the people who have made a difference to ours! 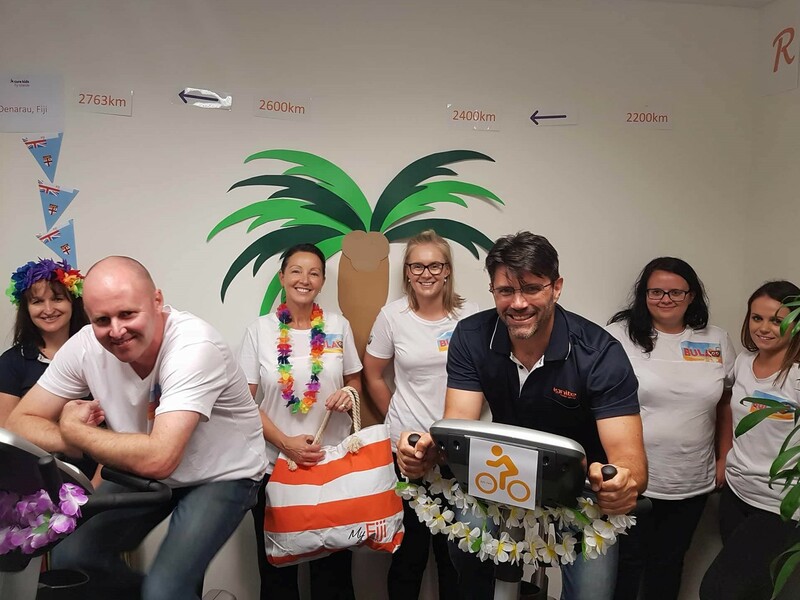 On Fiji Day (10th October 2017), we launched a challenge in our offices: to ride to Fiji! 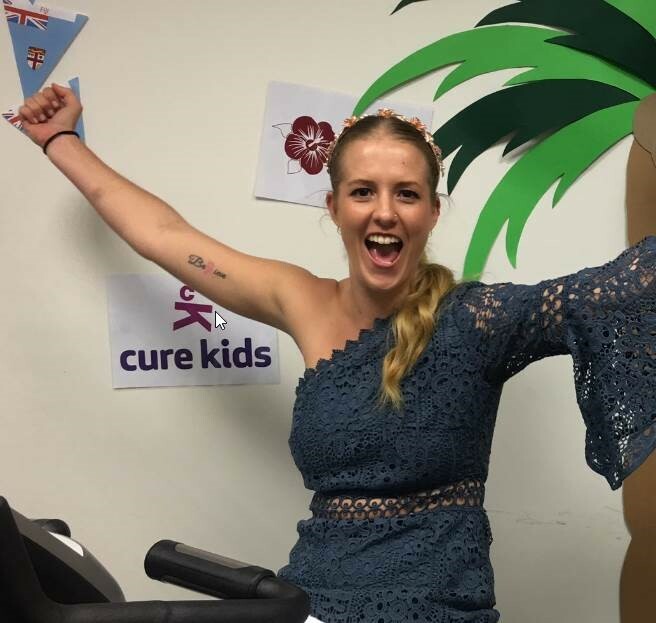 With 2 stationary bikes and a team of eager peddlers, we set out to cycle a collective 2,763km to raise money for Cure Kids Fiji. The distance would, symbolically, take us from our offices to Fiji and everyone, even those from our other My Brands departments, were encouraged to get involved! The journey started well and at just two days in we travelled 352.1km! Over the last few weeks, that figure has continued to climb—leader boards have been established, inter-team challenges have been laid down and team members have overtaken their managers (the ultimate defeat!). On the 7th of November, we concluded our ride. Three days early, it was our Executive Team who got us across the line! Cure Kids Fiji is a charity that launched in Fiji in 2006. It is a child health research initiative, working to purchase and maintain life-saving medical equipment in Newborn Intensive Care Units and Paediatric Intensive Care Units. In recent years, the charity has partnered with AccorHotels to prevent and improve the outcomes for children living with Rheumatic Heart Disease (RDH). Around 50 school-aged children suffer from this in Fiji—these rates are amongst the highest in the world! If that’s not cause enough to raise some money, we don’t know what is! So, how do you raise money on a bike? 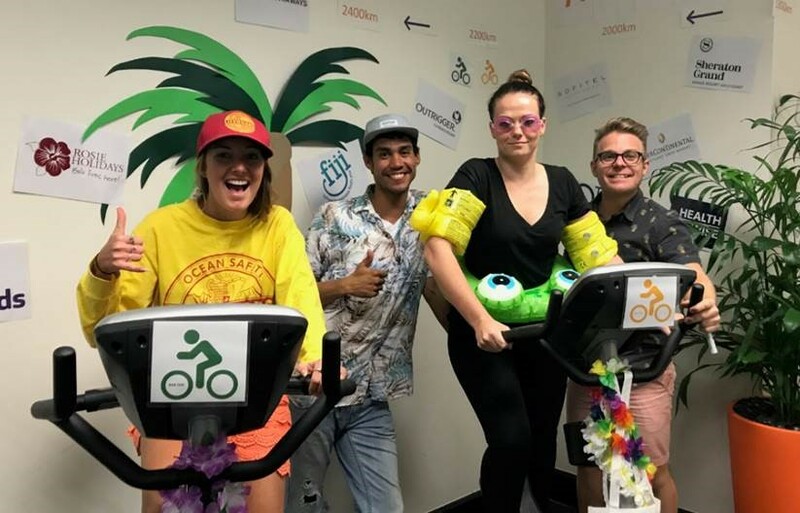 The hype around Ride to Fiji has been huge in our offices, but how do you raise funds by riding a stationary bike? The answer is “have an amazing Fundraising Team”! Our Fundraising team have worked tirelessly over the last month, in particular, but also over the last 12-months. They set up donation jars in the bike room, arranged an amazing raffle, held BBQs and kept us all up-to-date daily with how we were tracking with our targets, encouraging us all to take part! On the 7th November, to coincide with the final kilometre being pedalled, our results came in. Our team have managed to raise well over the original target of $5000, smashing the targets with a total of $9100! It’s been a massive couple of weeks and our other results should not be overlooked either. Yellow Jersey Holder was awarded to cycling superstar, Ashlee, for a total of 554.1kms pedalled. Supervisor, Tim followed close behind with an impressive 477kms. Thank you and congratulations to everyone involved. It’s been a fun-filled month raising money for an incredible cause. We’re all beyond happy and we even have the photos to prove it!